Tauern Spa in Kaprun! just superb!! All year round you can enjoy all the advantages the Tauern Spa in Kaprun will be offering! Enjoy panoramaic saunas, a brine (salt) swimming pool, a glazed exterior pool, and aroma steam bath, saunas, steam rooms, as well as a large restaurant and bar area. There is also a 25-metre swimming poo, slide, children's play areal and a gym. The 'Spa Treatment' section has beauty experts to pamper you with exclusive treatments and massages. The Schmitten Downhill - Golf Championship , now has become a special annual favourite, whether you are a professional golfer, or just beginning you will be made welcome at a cross golf event on Schmitten mountain above Zell am See. 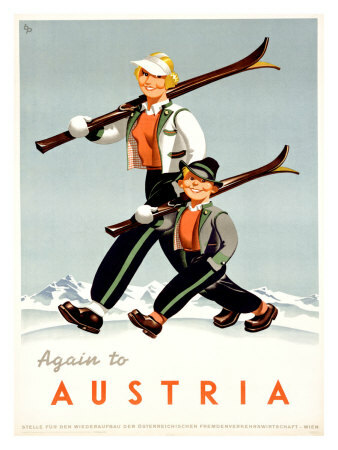 There are no handicap apart from the at an altitude of 2,500 metres above sea level! Instead, you'll be players cross-country in teams of two starting in the morning over nine holes, from the mountain station Schmitten up to the Areitalm level . It is not played under the rules of the Royal St. Andrews Golf Club, but you will be told the rules before you start!! But please expect to enjoy yourself. The Kaprun Cheese festival event is becoming a popular favourite, with blue-veined cheese, cottage cheese or hard cheese. It runs for a full week a very with aromas drifting through the village of streets of Kaprun. Normally it is held held in the middle of September for the cheese connoisseurs , the quiet little village of Kaprun is turning into the longest cheese counter in the Pinzgau!!!. The traditionally popular freash milk product from Pinzgau is at the center of everyone's attention. A very special experience is guaranteed when 120 years of choir tradition meet the unequalled acoustics of Zell am See town square. The Christmas concert of 'Liedertafel Zell am See' choir in the medieval town square, is supremely atmospheric, and will bring shivers down your spine. The choir of bass, tenors and baritone, bring the square alive in the winter. It is becoming a regular feature the 'Volvo Ice Camp' it invites visitors to take a look at this amazing igloo world, covering more than 10,000 square metres high up on the Kitzsteinhorn. The main igloo which is twelve metres in diameter and is connected with many other snow huts opens its doors. Inside the ice bar and ice lounge you can enjoy a cheese fondue, hot tea or perhaps some warming schnapps. Activities include an outside climbing tower, night hiking and various music events in the camp. You can even stay overnight until April, sleeping in one of the cosy and romantic igloos. Three top Snowparks at snow guaranteed 2.500 and 2.900 metres - this is a real mecca for snowboarders and free skiers on an area of 30.000 m² and with more than 70 obstacles. More information about every obstacle, the park maps and the actual videos and photos can be foundfreely on the web. The set up change from year to year. BP Ballonn fesival in Kaprun and Zell am See. 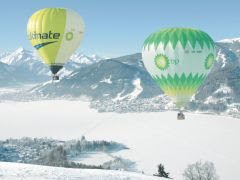 Floating above snow-covered mountain tops in a basket: By now, the colorful spectacle is already taking place for the 3o something time: more than 35 balloonist teams are starting in the BP Gas Balloon Trophy to show what they can do with their multi-coloured balls of heat in the sky. People who are not satisfied with just watching can climb into one of the baskets themselves to explore every spot of the region from hundreds of meters of altitude. The 'nights of the glowing balloons' are the visual highlights of this week. 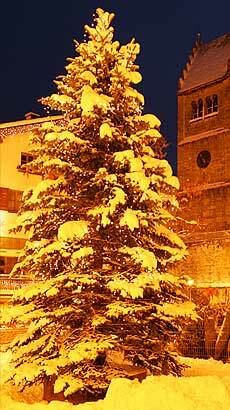 Already in November it sparkles and shines and makes visitors feel all warm and cosy. On the 19th of the month the magic Advent market of Zell am See opens its doors always Thurday & Friday from 3:00 p.m. until 8:00 p.m., Saturday from 10:00 a.m. until 8:00 p.m. and Sunday from noon until 8:00 p.m. and invites you to take a stroll and discover the dreamy, wintry atmosphere in 'Ferry Porsche Congress Center' square. The Krampus' race, the Christ child workshop, or the brass band concert - until the day before Christmas Eve you can enjoy the magical and romantic atmosphere to your heart's desire. For about eight weeks Wednesdays are special days for snowboarders and Freeskiers: till middle of March snowboard nights take place every Wednesday from 8 p.m. On the piste at cityXpress, boarders and free skiers are showing their skills with their boards beneath their feet. The snowboard and freestyle show also guarantees breath-taking action. Here spectators can marvel at lots of jumps and stunts. The evening events are completed by music from the DJ and a brilliant fireworks display. 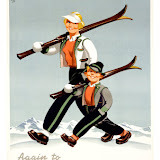 Starting with giant slalom at the Kitzsteinhorn and golf on the following days on the golf course in Zell am See Kaprun.